* ... ZONING: Expect an overflowing crowd when the Bakersfield planning commission meets next week to consider the rezoning of a piece of land in the Southwest area that now is surrounded by single-family homes. Bright yellow "no zone change" yard signs have popped up in the Seven Oaks and River Run neighborhoods to oppose the rezoning of a piece of land to allow apartments. The group asking for the zoning change is called "Black Ops" and it includes local dairyman John Bidart, Matthew Paul Wade and Donald R. Judkins, according to a website established by the opponents. Residents are promising not to go quietly and are lobbying city council members and those on the planning commission. The hearing is set for Thursday, March 21. * ... SPOTTED: The parking lot in front of the dollar theaters on California Avenue is littered with at least three dozen soda cups, roughly equivalent to the number of parking spaces, after a recent showing. * ... SLEEP: If you have chronic insomnia, you may have more to worry about that the lack of sleep. According to The New York Times, insomnia may increase the risk of heart failure. "After controlling for numerous health, behavioral and demographic factors, the researchers found that having one symptom of insomnia was associated with a 17 percent increase in the risk of developing heart failure," the Times said. It added: "Insomnia was a risk independent of other cardiovascular risks, and the authors suggest that chronic insomnia leads to higher blood pressure and higher heart rate, known risk factors for heart failure." * ... RUGBY: How many of you knew that Bakersfield has its own rugby team? Donald Taylor calls it one of the "best kept sports secrets" in town, and it happens every winter at Standard Park. "I'm talking about the Kern County Tuskers Rugby club. These guys are not football wannabes. This is their own thing. They play in the smash mouth Southern California Rugby Football Union. Next game is at Standard Park at 1 p.m. this Saturday against San Fernando and is their last home game before the playoffs. The effort these guys put forward every game is phenomenal and and really deserve your support. You will not be disappointed. Bring a chair. Hope to see you Saturday and Semper Fi." * .... BAKERSFIELDISM: Courtesy of reader Joe Stormont: "You're a Bakersfield old timer if you remember who the Sheriff of Datsun Country was. (Wally Tucker)." I'm taken by the irony of your Neighborhood and Zoning stories. 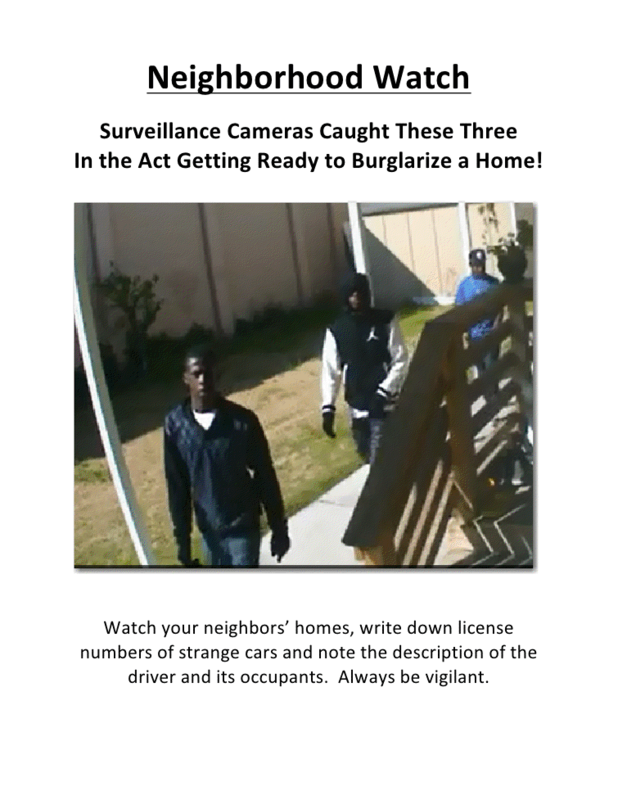 In the first, petty thieves invade middle-class neighborhoods to steal, rob, and pillage personal property. In the second, white collar businessmen invade middle-class neighborhoods to pillage property rights. In the former, while personal property can be replaced, doors repaired, and bad memories left to fade, the latter leaves a permanent scar of a money-grabbing apartment complex in an otherwise quiet, peaceful and beautiful neighborhood. Yes, in both cases, neighbors must come together to watch, report, and defend. But in the end, who should the River Oaks and Seven Oaks communities worry more about, the unnamed faces on the video or unnamed investors hiding behind "Black Ops"?